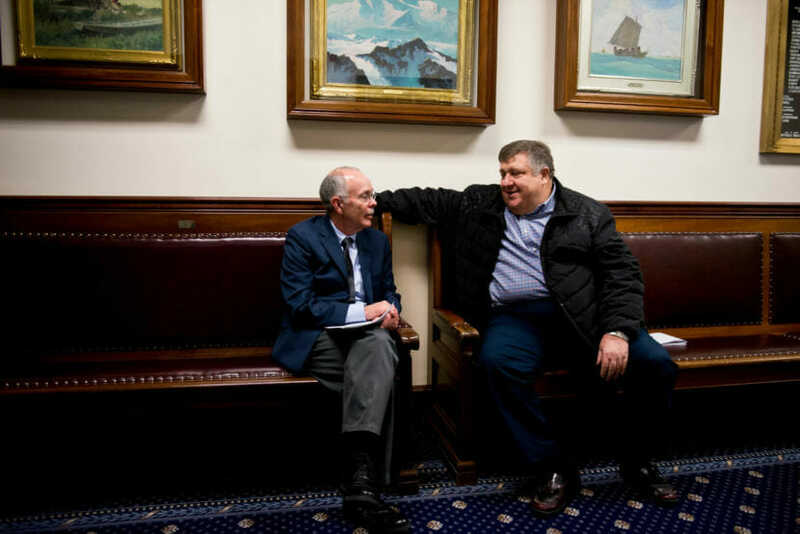 Alaska lobbyists have been breaking an anti-corruption law by promoting fundraising events on behalf of political candidates, according to a preliminary opinion from the state’s campaign finance watchdog. Lobbyist Ashley Reed asked for the formal opinion from the Alaska Public Offices Commission. He wanted to know whether state law allows for lobbyists to email copies of invitations to fundraisers for political candidates. 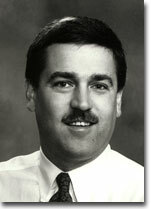 Jerry Mackie’s portrait from when he was a state senator. The Legislature banned lobbyists from engaging in fundraising activity more than two decades ago. Proponents of the ban said candidates who get help from lobbyists on their campaigns could, once elected, have a harder time refusing lobbyists’ requests for action on legislation. But in spite of the ban, as Alaska Public Media reported last week, Reed and another lobbyist, Jerry Mackie, have been sending copies of fundraiser invitations to their clients and friends. Reed and Mackie are among the state’s most influential lobbyists, and each earns more than $700,000 representing businesses in health care, oil development, mining and other industries. On Monday, the commission’s staff issued a three-page draft opinion. It addresses Reed’s question about whether he can send invitations to fundraisers. The short answer: No, because that’s engaging in fundraising activity, which the law bars lobbyists from doing. The opinion is still a draft — it has to be approved by the commission’s politically-appointed leaders at their next meeting, in January. Reed, reached by phone Wednesday, wouldn’t discuss the draft opinion. Among the candidates who benefited from the emails from Reed and Mackie are Gov. Bill Walker and House Speaker Bryce Edgmon. In earlier interviews, the lobbyists cited a section of the law that allows lobbyists to personally advocate on behalf of a candidate. The lobbyists also said they had informal approval to send the emails after talking with an employee of the public offices commission.